The timeframe for this special has now passed. This offer was valid through February 28, 2015. While this offer is no longer available, Vita still offers the great services that were included in the special. 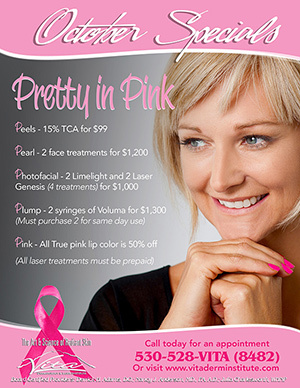 Please check out the benefits of of these services below, and contact us for an appointment. 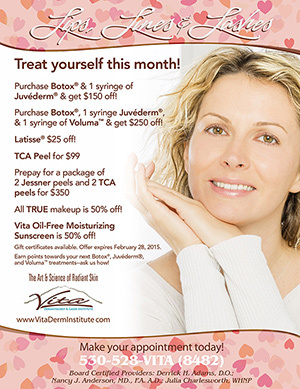 While this offer is no longer available, Vita still offers TCA Peels, Laser Treatments, Voluma and more! Please check out the info below for these services, and contact us for an appointment.